While there are many reputable specialists that could work on the more advanced, long term SEO strategies for a website, there are also some basics that should be a part of all websites from the very beginning. These basics and best practices are ones that all web designer should understand and be ready to put to use on the work that they do. The goal of all search engines is to ensure that the most relevant, highest quality content rises to the top for any search query on that site. While a number of factors are considered in the algorithms that the search engines use, an algorithm that changes frequently, one constant is that quality content is critically important to a site’s SEO success. People do not come to websites to admire the visual design or scroll through the code of the page – they come for the content that the site contains. Great content that is useful, relevant, and timely encourages people to share that content with other via links on social media and other websites, through email, or even just by good old fashioned word of mouth. These links act as a “vote of confidence” for the site’s content, letting search engines know that it is good quality. The more “votes” that content has from legitimate links, the more notice a search engine will place on that content and rank it accordingly. All SEO strategies must include great content, so ensuring that a website’s content is up to snuff is Step 1 in any plan. The way that a site is constructed will have an impact on how effectively search engine robots can crawl the site’s pages and understand its content. Code that is well formatted with the proper separation of structure and style (HTML and CSS) helps a search engine quickly get through the pages. The use of proper HTML elements also ensures that search engines understand the content and can rank the site accordingly. Ensuring that websites work well on the wide range of devices and screen sizes being used to access web content today is important from a user experience standpoint, but “mobile-friendliness” will also have an impact on that site’s SEO rankings. Websites need to load quickly in all browsers, both on desktop computers and on mobile devices. The way that a site is constructed and the resources it requires, including images, video, etc., will impact the overall performance of a website and can have a negative impact on that performance and on search engine rankings. An often misunderstood aspect of website design and SEO, HTML meta tags do play a role on your website, but that role is not about search engine optimization. Years ago, meta tags did affect overall rankings, but that day has passed. The best way to improve overall rankings is with inbound links to a website – but not all links are created equal. Links from scammy link farms will hurt, rather than help, a website’s rankings. The kind of links that are helpful are quality links from reputable websites. The best way to get these links is by adding quality content to the site that will encourage others to want to share it – which brings our SEO basics back to where we began, with content. 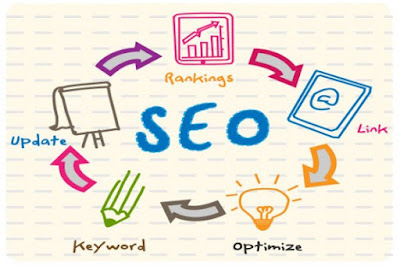 All quality SEO initiative will, indeed, begin and end with a website’s content.